Actual size is approx 7/8 inch square. A large gold cross, finely outlined in black, makes a striking design on the white background of this pin. 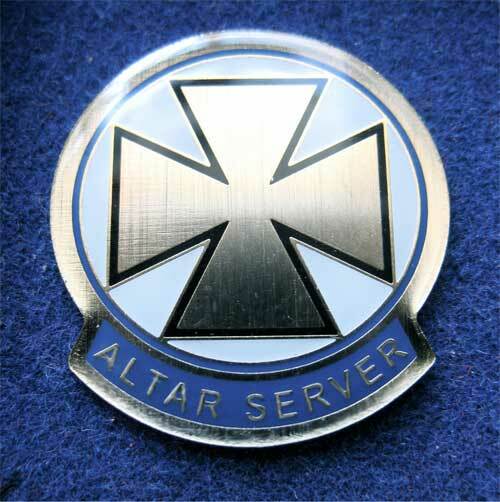 The words "Altar Server" are printed in gold.